Interventional pulmonology is a growing subspecialty of pulmonary medicine with flexible and rigid bronchoscopies increasingly used by interventional pulmonologists for advanced diagnostic and therapeutic purposes. This review discusses different technical aspects of anesthesia for interventional pulmonary procedures with an emphasis placed on pharmacologic combinations, airway management, ventilation techniques, and common complications. Relevant medical literature was identified by searching the PubMed and Google Scholar databases for publications on different anesthesia topics applicable to interventional pulmonary procedures. Cited literature included case reports, original research articles, review articles, meta-analyses, guidelines, and official society statements. Interventional pulmonology is a rapidly growing area of medicine. Anesthesiologists need to be familiar with different considerations required for every procedure, particularly as airway access is a shared responsibility with pulmonologists. Depending on the individual case characteristics, a different selection of airway method, ventilation mode, and pharmacologic combination may be required. Most commonly, airways are managed with supraglottic devices or endotracheal tubes. Nevertheless, patients with central airway obstruction or tracheal stenosis may require rigid bronchoscopy and jet ventilation. Although anesthetic approaches may vary depending on factors such as the length, complexity, and acuity of the procedure, the majority of patients are anesthetized using a total intravenous anesthetic technique. It is fundamental for the anesthesia provider to be updated on interventional pulmonology procedures in this rapidly growing area of medicine. La pneumologie interventionnelle est une sous-spécialité de la pneumologie en progression grâce à l’utilisation croissante des bronchoscopes souples et rigides par les pneumologues interventionnels à des fins diagnostiques et thérapeutiques avancées. Cette analyse aborde les différents aspects techniques de l’anesthésie pour les procédures interventionnelles en pneumologie en insistant sur les combinaisons pharmacologiques, la gestion des voies respiratoires, les techniques de ventilation et les complications fréquentes. La littérature médicale pertinente a été identifiée par une recherche des publications sur différents sujets d’anesthésie applicables aux procédures interventionnelles en pneumologie dans les bases de données PubMed et Google Scholar. Les publications citées ont inclus des rapports de cas, des articles de recherche originale, des articles de synthèse, des méta-analyses, des lignes directrices et les déclarations officielles de sociétés savantes. La pneumologie interventionnelle est une branche de la médecine qui se développe rapidement. Les anesthésiologistes ont besoin de se familiariser avec les différents problèmes soulevés par chaque procédure, en particulier dans la mesure où la responsabilité de l’accès aux voies respiratoires est partagée avec les pneumologues. La méthode de gestion des voies aériennes, le mode de ventilation et la combinaison pharmacologique pourront être choisis en fonction des caractéristiques de chaque cas particulier. Le plus souvent, les voies respiratoires sont gérées avec des dispositifs supraglottiques ou des tubes endotrachéaux. Néanmoins, les patients présentant une obstruction centrale des voies respiratoires ou une sténose de la trachée peuvent nécessiter le recours à un bronchoscope rigide et à une jet-ventilation. Bien que la démarche anesthésique puisse varier en fonction de facteurs tels que la durée, la complexité et la gravité de la procédure, la majorité des patients sont anesthésiés en employant une technique intraveineuse totale. Il est essentiel que le professionnel assurant l’anesthésie connaisse les plus récentes procédures interventionnelles en pneumologie dans ce domaine rapidement croissant de la médecine. Interventional pulmonology is a growing subspecialty in pulmonary medicine with remarkable advancements in recent years having been made in diagnostic and therapeutic innovations.1,2 A growing number of procedures are performed by interventional pulmonologists. Different procedures require different anesthetic considerations based on the complexity of the procedure performed and underlying patient conditions; these range from conscious sedation to general anesthesia, including the use of either conventional or jet ventilation.3,4 Hence, it is fundamental for anesthesiologists to be familiar with the nuances of the different techniques commonly performed by interventional pulmonologists. This narrative review addresses the various methods used for securing the airway as well as the pharmacologic considerations, ventilation modes, and potential complications relevant to the different interventional bronchoscopic procedures. Over 500,000 bronchoscopies are performed annually in the United States5 to address many conditions including malignancy (i.e., for diagnostic, staging, and palliative purposes), interstitial lung disease, asthma, and central airway obstruction.6 Current American Thoracic Society recommendations state that, based on the patient’s underlying condition and physician’s criteria, a full preoperative evaluation (including a full physical examination, laboratory tests, and relevant imaging) should be done prior to bronchoscopy.7 Emphasis should be placed on airway assessment and identification of challenging airway predictors.3,8 Interventional pulmonologists and anesthesiologists should plan each case collaboratively to minimize complications. Generally, bronchoscopic procedures may be classified as basic diagnostic, advanced diagnostic, and/or therapeutic procedures. These are summarized in Table 1. ➢ Diagnosis of alveolar proteinosis, opportunistic infections, eosinophilic pneumonia, etc. Most cases of endobronchial bleeding that occur during bronchoscopy are minimal (estimated < 20 mL) and do not represent a major threat to the patient´s clinical condition.67,68 Massive endobronchial hemorrhage occurs in < 0.1% of cases but may have a fatality rate as high as 10%.69 For these events, conversion to rigid bronchoscopy may be required to protect and selectively ventilate the non-bleeding lung. Anticoagulant agents increase the risk of hemorrhage and should not be taken prior to endobronchial biopsies. Low-molecular-weight heparin should be discontinued 12-24 hr before procedure (depending on therapeutic doses), while intravenous heparin should be discontinued four to six hours prior to procedure.16,75 Warfarin also increases bleeding risk and should be discontinued five days ahead of procedure.66 Oral anticoagulants are highly dependent on patient renal function; apixaban and rivaroxaban should be discontinued at least 24-48 hr before procedure, whereas dabigatran should be stopped for 36-72 hr in advance. In patients with impaired renal function (i.e., creatinine clearance 30-50 mL·min−1) apixaban and rivaroxaban should be discontinued 36-72 hr prior to procedure. Because dabigatran has a significantly higher renal elimination, it should be withdrawn 48-96 hr ahead of the procedure in patients with renal impairment.76 Despite recommendations, antiplatelet/anticoagulation regimes should be managed considering each patient’s condition, carefully evaluating the risk-benefit relation for each case. Premedication with midazolam (2-4 mg iv) helps reduce anxiety and produces anterograde amnesia.96,97 Although it is not a routine practice, some authors suggest premedication with oral clonidine (300 µg) to blunt the cardiovascular response produced by rigid bronchoscope insertion. This protects against potential arrhythmias and myocardial ischemia.98 Spraying topical lidocaine 1% (3-5 mg·kg−1) over the supraglottic and glottic areas is another strategy proposed to blunt the cardiovascular response associated with bronchoscope insertion.99 Anticholinergics, particularly glycopyrrolate, are options because of their antisialagogue properties and reduction in overall airway secretions.48 Premedication with small intramuscular doses of glycopyrrolate (0.005 mg·kg−1) 30 min prior to procedure is commonly seen in clinical practice.100,101 Atropine use is discouraged as it has been associated with greater hemodynamic fluctuations and increased procedure time,48 though available data on this subject are limited. 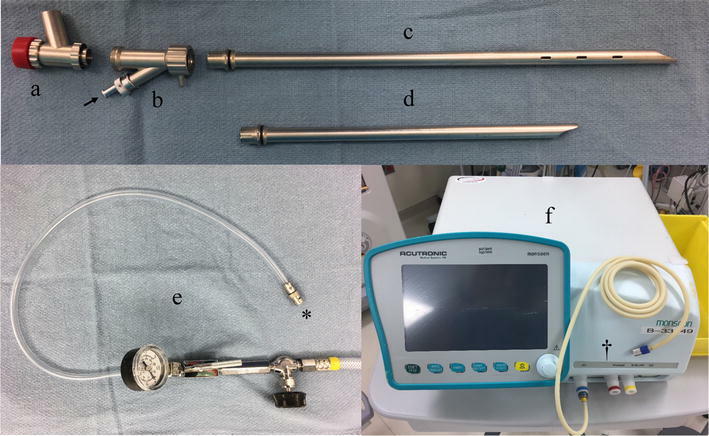 Ventilation support for rigid bronchoscopy may be delivered in the form of mechanical positive pressure controlled ventilation. As with spontaneous assisted ventilation, the bronchoscope is connected to the anesthesia circuit, thus serving as an endotracheal tube. Air leaks can be minimized by sealing the bronchoscope ports with caps and packing the nasal and oral pharynx with gauze. This ventilation modality is less often used for rigid bronchoscopy because constant airway leaks interfere with the ventilator’s ability to deliver pre-set gas volumes.3 Similarly, conventional ventilators deliver large tidal volumes that cause constant displacement of diaphragm and thoracic structures, which can complicate the interventional procedure. Different risks are associated with specific surgical techniques. Airway fire is a rare but catastrophic event, caused by the combination of an ignitor (a heat-based surgical device such as a laser or electrocautery), an oxidizer (oxygen or nitrous oxide), and fuel (tissue, mesh, or plastic devices).135 Hence, the main approach to prevent these events is to reduce the use of each of the three elements described previously. In that sense, it is recommended that F i O2 and end-tidal O2 be below 40% prior to activation of the laser, electrocautery, or argon plasma coagulation (APC) systems.136 Patients who cannot tolerate F i O2 < 40% should not undergo these procedures and a different therapeutic alternative should be considered. Lastly, in patients who present with critical airway stenosis, positive pressure ventilation above the stenosis might not achieve adequate ventilation once the patient is under general anesthesia.141 Balloon dilation using topical anesthesia and minimal sedation can be achieved in spontaneously breathing awake patients.142 Such a technique can allow a safer tracheal luminal diameter to proceed with more conventional anesthesia and therapeutic intervention. Furthermore, in patients requiring stent placement, silicone (but not metallic) stents require the use of the rigid bronchoscope. In patients requiring further ventilatory support following tracheal stent placement, proper placement of an appropriately sized ETT directed visually under bronchoscopic guidance is necessary to avoid airway stent dislodgement.143 Thus, coordination between the anesthesia team and interventional pulmonologist is required. Interventional pulmonology is a rapidly growing area of medicine. Advanced diagnostic and therapeutic bronchoscopy is widely applied in different pathologies of the airways, lungs, and mediastinum. Therefore, it is fundamental for the anesthesia provider to be updated on this area. Evidence-based recommendations regarding airway management, pharmacologic strategies, and complications should help guide anesthesiologists when approaching common bronchoscopic procedures. In daily practice, each case should be approached individually. A thorough evaluation of individual comorbidities, risk factors, and technical aspects associated with each procedure is necessary. Given that interventional pulmonologists and the anesthesia team share the working field, constant communication between specialists is fundamental. Adnan Majid: Paid consultant for PneumRx, Inc., paid consultant for Olympus Corporations of the Americas, paid consultant for Broncus Medical Inc., and paid consultant for Boston Scientific Corp.
Andrés de Lima, Fayez Kheir, Adnan Majid, and John Pawlowski contributed substantially to all aspects of this manuscript, including conception and design; acquisition, analysis, and interpretation of data; and drafting the article. Continuum of Depth of Sedation: Definition of General Anesthesia and Levels of Sedation/Analgesia. 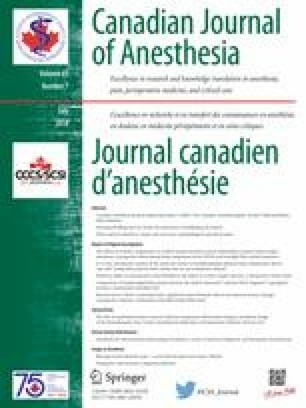 Available from URL: http://www.asahq.org/~/media/Sites/ASAHQ/Files/Public/Resources/standardsguidelines/continuum-of-depth-of-sedation-definition-of-general-anesthesia-and-levels-of-sedationanalgesia.pdf (accessed January 2018).